We love a good looking sofa here at Dwell, and can definitely appreciate the look of something a little bit outside-the-boxy form of the classic settee. Confluences made its worldwide debut at Salone last month (check it out in this month’s issue of Dwell! 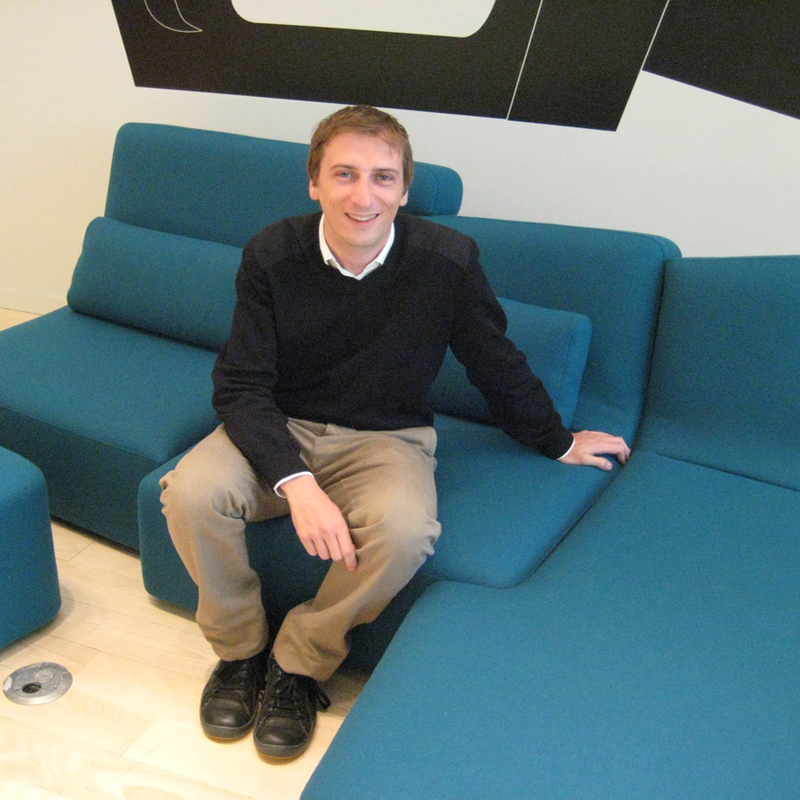 ), and French-born, Milan-based designer Philippe Nigro took his first ever trip to the states to introduce his sofa to the US market. I caught up with him at the Ligne Roset showroom on Park Avenue in New York. This armless modular sofa by Philippe Nigro can help you finally make your move, as you cuddle up to your woo-ee in a cozy Confluence of well-designed intentions.